Three anonymous sources told Reuters that Northrop Grumman is interested in helping Japan build its replacement for the F-2 fighter. Northrop has already responded to Japanese requests for information and has held preliminary talks with Japanese defense industry officials, one source said. The company has provided Japan with a menu of technologies it could contribute to next generation F-3 fighter project, but no specific proposals were made to Japan, the sources said. Noteworthy the company’s bid would compete with Lockheed Martin proposals that include a hybrid stealth design based on its F-35 Lightning II and F-22 Raptor. 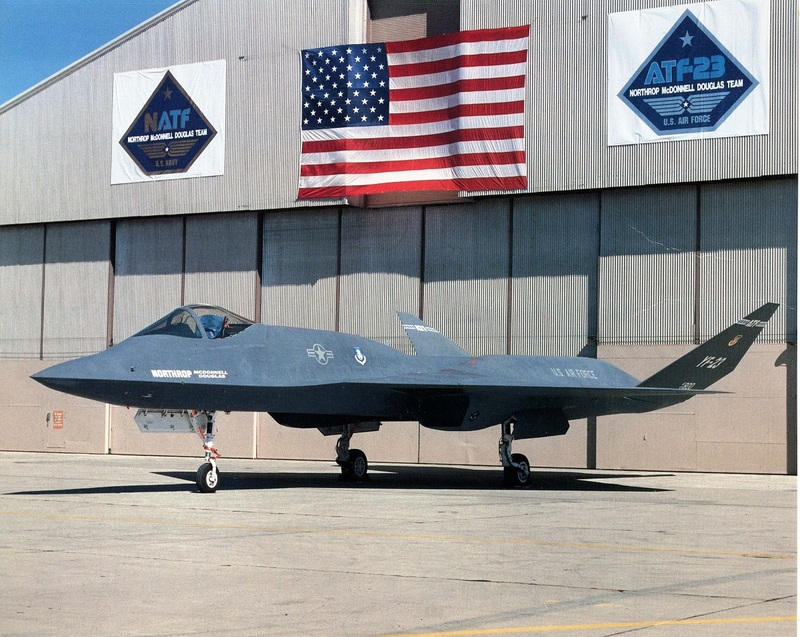 The YF-22 beat Northrop’s YF-23 Black Widow demonstrator to win the lucrative U.S. Advanced Tactical Fighter (ATF) contract in 1991. However both Northrop Grumman and Lockheed Martin would need U.S. government approval to offer sensitive aircraft technology to Japan. The F-22 is banned for export and is only used by the U.S. Air Force (USAF). But Japan has ordered 42 F-35s and it plans to increase that order, including purchases of the vertical take off and landing (VTOL) versions suitable for aircraft carrier operations. The Japan Air Self-Defense Force (JASDF) currently flies the F-15J, based on the Boeing F-15; and the F-2, based on the Lockheed Martin F-16. Both designs are decades old. As we have already explained, in March the Japanese government issued a third RFI for the F-3 to foreign defense companies and sent a separate document outlining its requirements in more detail to the British and U.S. governments. In addition to a proposal from Lockheed and Northrop Grumman, Japan is hoping for responses from Boeing, which makes the F/A-18 Super Hornet, and BAE Systems, that is part of the consortium that built the Eurofighter Typhoon. Japan’s last jet fighter, the F-2, which entered service in 2000, was built jointly by Mitsubishi and Lockheed Martin.